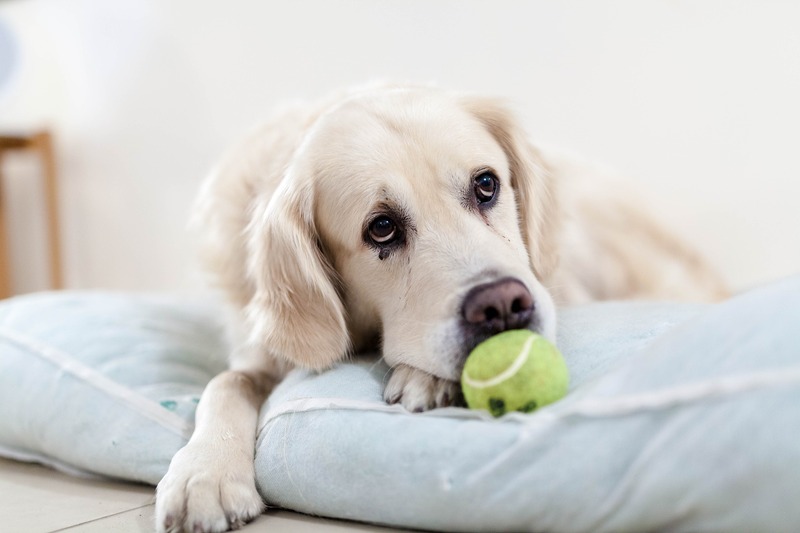 Home Facts & Fun Do Dogs Worry About Their Owners? Do Dogs Worry About Their Owners? If you’re reading this blog, you’re likely already aware of how clever dogs can be. We know they miss us when we’re away, and we know they can understand their Owners to an extent. Most Dog Owners will love these traits in their pooches – along with almost all of their traits. They’ll also spend a fair chunk of time thinking about their pooches, and will worry about them when they’re apart. However, do dogs ever feel concern for their Owners? To learn what the science has to say on this topic, read on! “You wanna talk about it, champ?” Your dog, to you. Hold up…do dogs even worry at all? While we don’t need a research paper to confirm our dogs fret, we now have one anyway. A 2017 study reported by the Royal Society revealed a dog’s sleep patterns are directly shaped by their stress levels. To put it more simply, dogs can’t sleep well when they’re worried. Stress in canines is hardly a new concept, but whether dogs feel stress on behalf of their Owners still under debate. Sure, they may worry their human won’t walk them, but do they ever fret over whether their human is healthy? What about whether they’re happy? 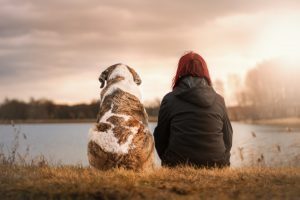 To have any idea as to whether dogs feel concern for their humans, we must first explore the way in which dogs bond with humans. For a long time, cynics have argued that dogs don’t really love their Owners. The truth, they posit, is that dogs are simply adept at manipulating humans – their chief food source. Again, most Dog Owners don’t need a study to know their pooches love them. However, the evidence also suggests that a pup’s love for their human friends is pure and true. 2015 research from Japan revealed that canines enjoy a hit of oxytocin when making eye contact with their Owner/s. In other words, dogs feel a love for their humans that has nothing to do with meal time. We know dogs can worry. We know dogs love, miss, and understand their Owners. If we pour these facts into a big mixing bowl, we’ll be able to bake ourselves one big ol’ pie. And that pie will be called “Dogs Worry About Their Owners”. What can you do about it, I hear you ask? The same thing you’d do with a human who worries about you. Share your joy when you’re feeling happy, and let them lift your spirits when you’re feeling blue. They’ll feel more relieved, and you’ll enjoy the loving attention of your favourite furry friend. Do you want to minimise your dog’s worries when you’re next away from home? Book them in for Doggy Daycare!